D.J. 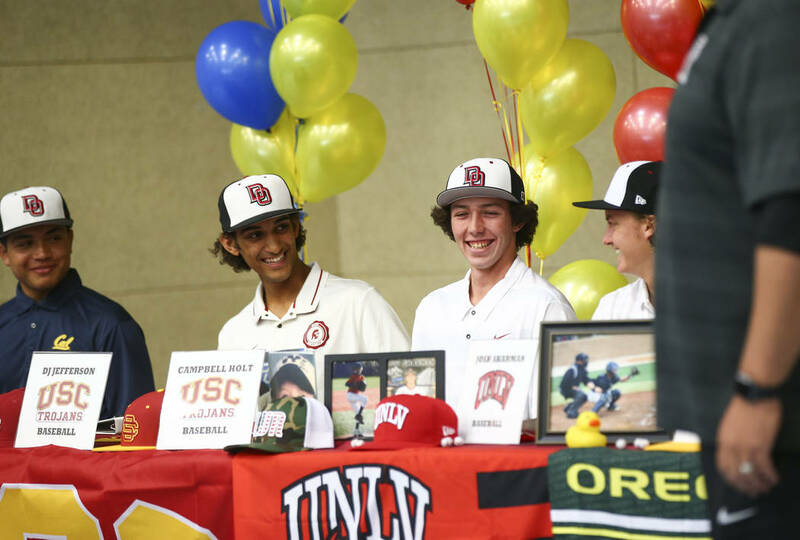 Jefferson, Campbell Holt, Aaron Roberts, Parker Schmidt and Josh Sharman signed national baseball letters of intent Wednesday during a brief ceremony inside the Desert Oasis cafeteria. Desert Oasis senior D.J. 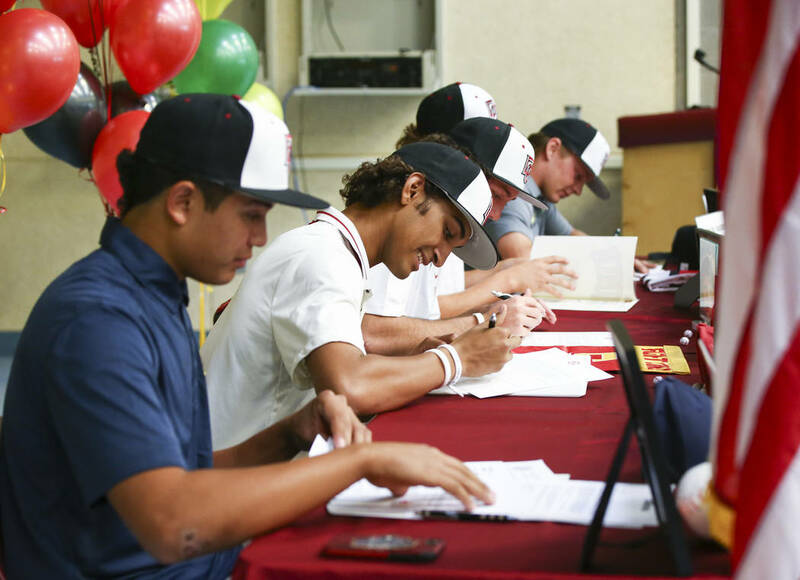 Jefferson brandished a cardinal Southern California hat embroidered with the school’s classic logo after signing his national letter of intent Wednesday to play baseball for the Trojans. 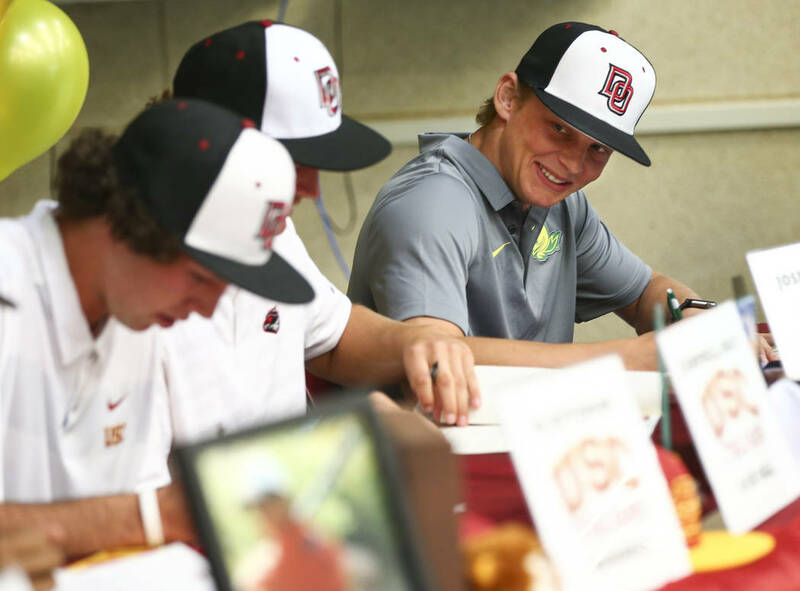 Current and future teammate Campbell Holt donned a cap with the university’s baseball logo instead. Different hats on national signing day. Same hats next season. 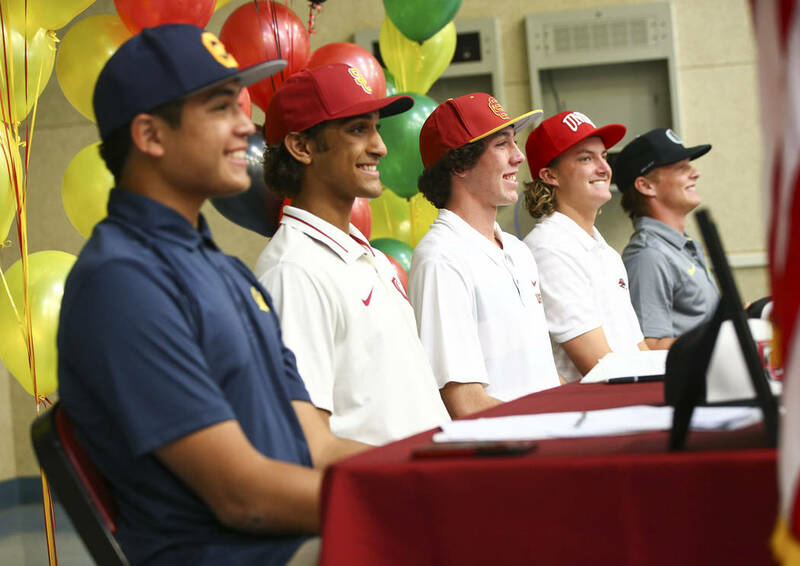 Jefferson, Holt, Aaron Roberts, Parker Schmidt and Josh Sharman signed national letters of intent Wednesday during a brief ceremony inside the Diamondbacks’ cafeteria — guaranteeing their baseball careers will continue with Division I programs. 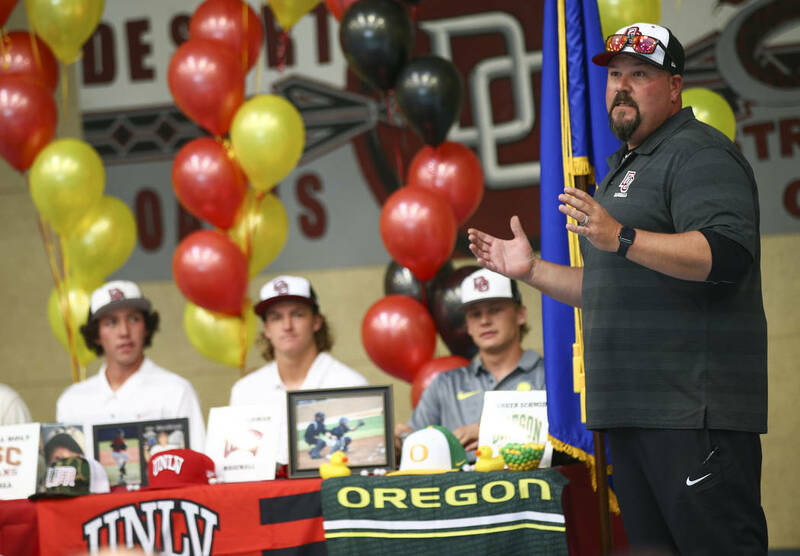 Roberts is going to California, Schmidt to Oregon and Sharman to UNLV, giving Desert Oasis coach Paul Buboltz the strongest senior class in program history. And one of the best teams in the state this spring. Buboltz joined the players, their friends and families for a half-hour of photos, refreshments and fun after school Wednesday. 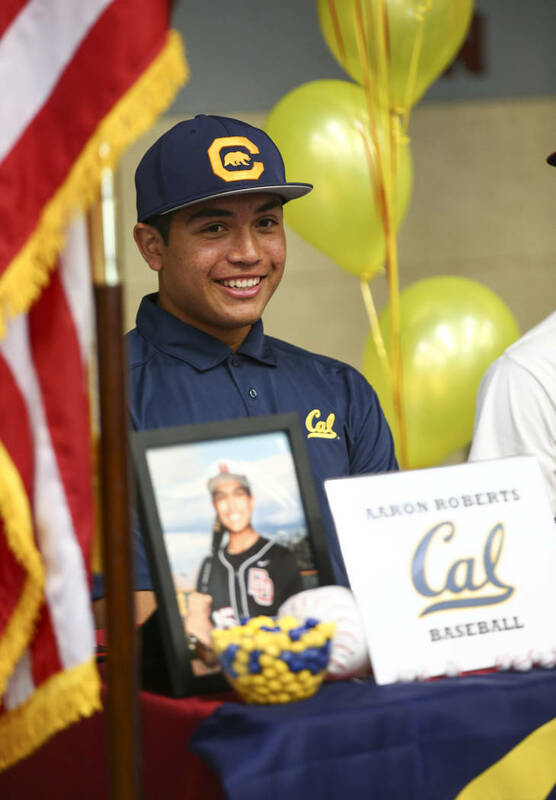 The four Pac-12 signees have developed a friendly rivalry, and Roberts said they’re excited about playing against each other at the next level. Schmidt was born in Oregon and always dreamed of playing baseball for the Ducks. Jefferson and Holt are lifelong best friends and planned to play together in college. Sharman is ecstatic to represent his hometown university. 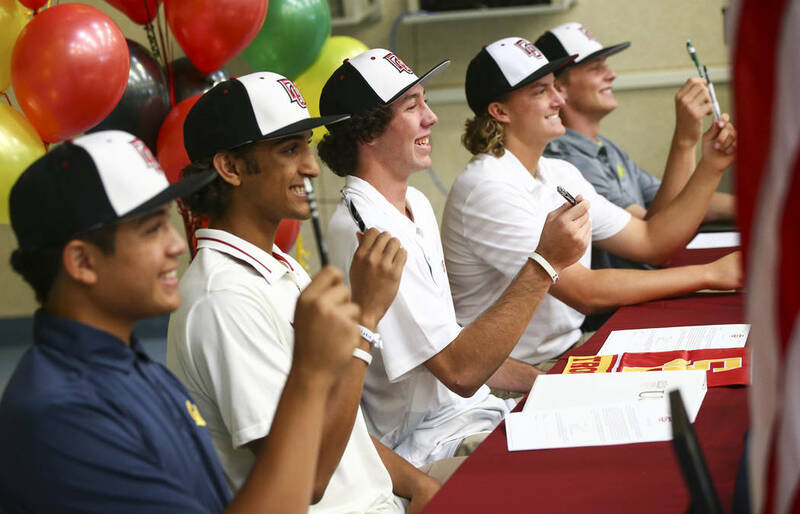 The five indicated that the experience of signing day was a thrill and testament to the program’s strength. Buboltz said having so many Division I players has helped foster a competitive environment in the program. He hopes that signing day serves as a reminder to his younger players of what can be accomplished with hard work. 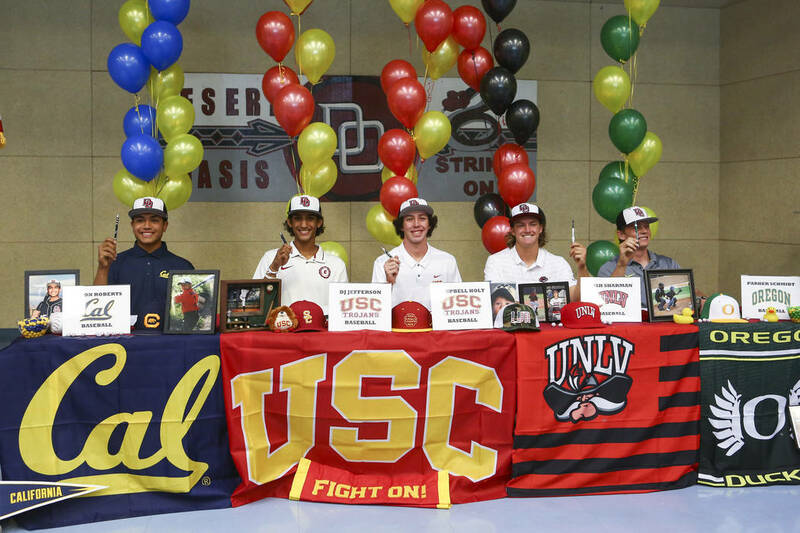 For more signings in other divisions, visit nevadapreps.com.